At the centre of Nashua Mobile’s business philosophy is the promise to put its customers first and this includes SMEs, which are expected to drive the growth of technology. These businesses are always looking for ways, including increasing productivity and reducing costs, to make them even more competitive. 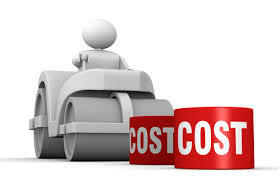 Least-cost routing (LCR) is still a must for the small business with a big phone bill. LCR services offer you a range of opportunities to slice national and international call costs by up to 25% compared to fixed line costs. With the most recent round of tariff cuts in the mobile market, national calls cost as little as 60 cents per second and international calls as little as 85 cents, with true per-second billing. Now that we have affordable, large-cap data broadband products for SMEs in South Africa, the cloud is becoming a viable option. Cloud computing allows small businesses to buy applications such as PBX services or customer relationship management tools as online services – think about how you use DropBox. There is no hardware to install, software to licence or IT support staff to hire – online IT applications simply become a predictable running cost. Plus, applications and data stored in the cloud can be accessed securely from anywhere in the world where you have an Internet connection. VoIP telephony service may offer SMEs substantial savings on local, national and international fixed calls as well as cell phone calls, as the service enables them to make voice calls over the Internet. The quality of VOIP has improved dramatically, thanks to better bandwidth in South Africa. If you pay for your end-users mobile data, make sure that their tablets and smartphones have Wi-Fi connectivity. That way they can use Wi-Fi to access online services and even make VOIP calls when they are near a hotspot, including the office. The cost savings of using your office network or a Wi-Fi hotspot when available rather than a cellular data SIM are potentially enormous. If your users don’t spend much time in the office, go for ‘one number, one phone’ solution. Simply put, this allows them to connect their smartphones directly to the company PABX using a technology like Bluetooth and be reachable with a single number wherever they are. That means you don’t need to buy them desktop handsets, and they’ll be able to make cheaper VOIP or LCR calls from their mobiles while they’re in the office. Look for a telecommunications provider that offers you a comprehensive portfolio of voice and data services products on one bill. That gives you visibility into, and control over, your telecommunications costs.